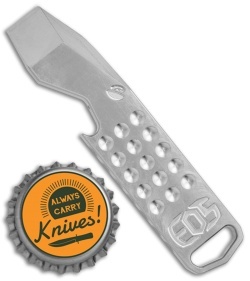 All items > Shop by Brand > EOS - Elite Outfitting Solutions Inc. 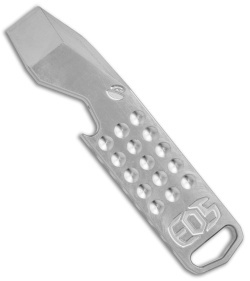 This EOS Mako pocket tool is made from lightweight titanium with a "raw" finish. It's CNC machined from 1/4" titanium, and features a pry bar, bottle opener, and a semi-sharp cutting edge for opening boxes or shotgunning brews! A wide cutout allows easy everyday carry on a lanyard or key ring. This is the best of the titanium prybar multi tools you can buy without going custom, I've bought 5 or 6 others from this site and this is the best one for sure. I think alot of people see these items as gimmicky but I get crazy use out of it. They do EXACTLY what you shouldn't do with your knives (pry, scrape, turn flathead screws) and they do it better than your knife ever could. 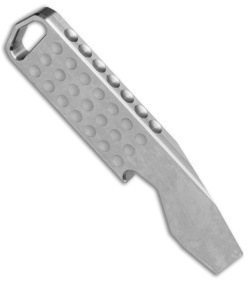 The bottle opener on this is the best I've ever used, effortless and simple every time. It doesnt even bend the cap. Its crazy lightweight and very attractive, its got a dark titanium glow about it. If you haven't bought a pocket tool yet pick this up. You will be pleasantly surprised. Mine wasn't abnormally sharp like another reviewer indicated with theirs. It's a pretty cool little gadget. 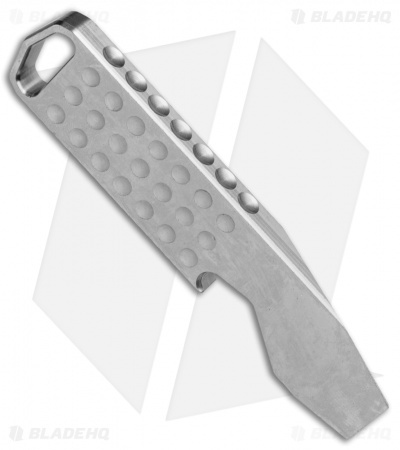 It pries nicely, cuts open packages and fits nicely in the palm should you need to use it as a self defense tool. I'm happy with it.